Back to Frank Black speak to the creator of the exciting independent production Millennium Apocalypse, Jason Morris and the project's lead lady, Shoni Alysse-Cook, as the story enters its second season. Back to Frank Black will be airing Season One on Friday nights shortly in preparation for Season Two later this year. Listen to what Jason and Shoni have to say on making Millennium Apocalypse and their feelings on the characters and world of Millennium! To stream this podcast directly from this post, click the podcast player below! If you would like to download this podcast for FREE, click here! If you'd like to see a selection of our recent podcasts and reissues, click here! 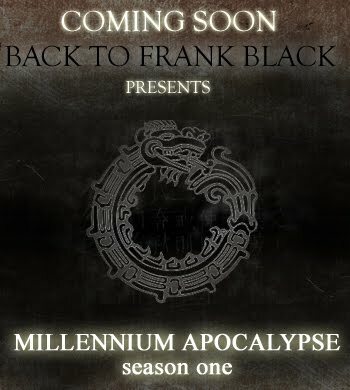 0 Responses to "Millennium Apocalypse speak to Back to Frank Black"